Agrotech giant Monsanto said that it will eliminate 1,000 jobs as part of a bid to cut costs in the wake of lower profits. The cuts are the latest in a longer series of downsizing measures. Monsanto said that its income has been been hurt by a drop in major crop prices that has curbed farmers’ incomes and subsequent spending, as well as its continued trouble with countries’ monetary policies internationally. “Currency has become a much stronger headwind with the recent events in Argentina,” said Monsanto CEO Hugh Grant, referring to the country’s move in December to devalue its currency, according to The Wall Street Journal. The company, which sells agricultural chemicals and genetically engineered seeds, says that the most recent planned cuts will generate between $1.1 billion and $1.2 billion, up from previous estimates of $850 million to $900 million. This is only the latest push in the St. Louis-based company’s restructuring efforts, first unveiled in October. At the time, the company announced that it would eliminate 2,600 positions. The push to streamline its business came as the US Department of Agriculture projected in November that farm income in the country would drop 38 percent in 2015 to the lowest level in over a decade, prompting farmers to scale back spending on farm supplies that Monsanto and other agriculture companies provide. The job cuts came as Monsanto reported that revenues slumped to $253 million, or 56 cents per share in the quarter ending November 30, down from a $243 million loss last year, or 50 cents per share. Revenue over the same period dropped by 23 percent, falling short of Wall Street expectations. Corn sales – Monsanto’s biggest source of profit – fell 20 percent to $745 million, but this was offset by soybean sales growing 11 percent to $438 million. Soybeans have become more popular with US farmers pursuing higher profits, and Monsanto has rolled out new varieties of Soybean seeds in North and South America. 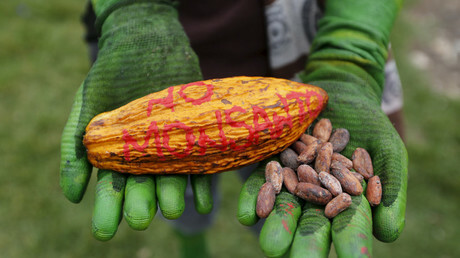 Monsanto has been the leader in the genetically engineered seed industry for over a decade, and has begun to develop such products specifically for emerging markets in parts of Asia and South America. Genetically modified seeds are imbued with characteristics that help farmers attain better harvests. However, the company has also drawn the ire of environmental lobbyists. In May 2015, March Against Monstanto protests were held in more than 400 cities across the globe. Activists accused the agrotech corporation of polluting water with its pesticides and contaminating neighboring farmers’ crops with its genetically modified pollen. The company also garnered criticism from anti-GMO activists for its lobbying against required labeling for food made from genetically modified organisms. In September, Kenyans took to the streets to protest Monsanto, USAID and the Bill and the Melinda Gates Foundation putting pressure on their country to lift its GMO ban.